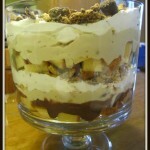 This Trifle Dessert recipe is from my friend, Jill. I have no clue where she originally got it, but it’s easy to make and always a hit at parties! She brought a huge tub of it on our last “girl’s weekend” and it got a little out of control… At around 3am there were about ten of us with spoons just digging in! It’s so addictive! The reason I call it the “Triflin’ Trifle” is because as Jill is making…or serving…or even talking about it, she is singing the line from the Destiny’s Child song, Bills, Bills, Bills: “You triflin’, good for nothing type of brother”. It’s quite hilarious. She also insists that you do the same while making it. All you need are four ingredients. 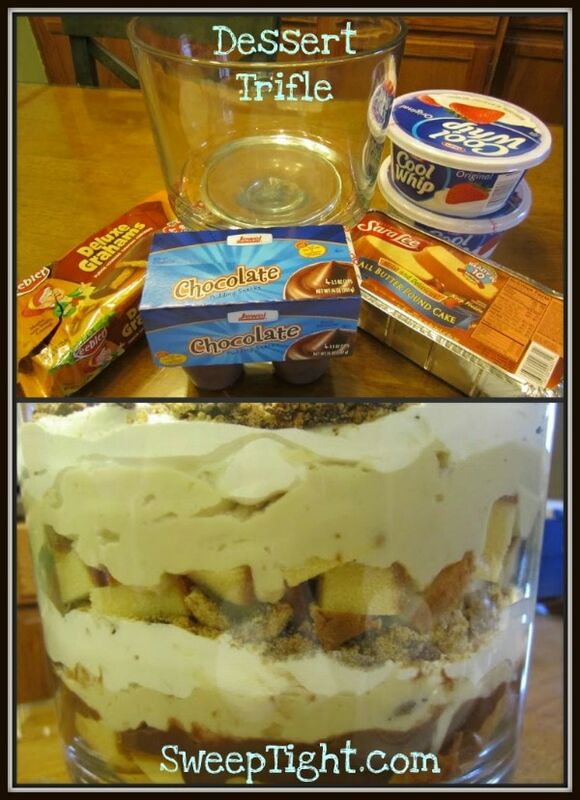 All of them can be easily swapped out, but here’s what I used: Pound Cake, Cool Whip, Keebler Deluxe Grahams and Chocolate and Vanilla store-brand pudding. Usually Jill uses only chocolate pudding, but I ran out, so I used vanilla, too. 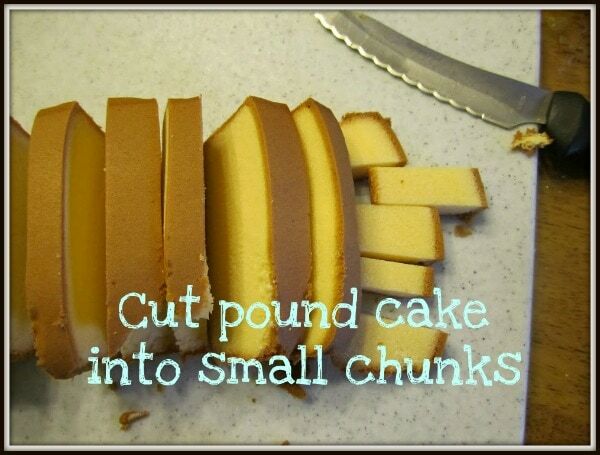 Make sure your pound cake is not frozen so you can easily cut it into bite-sized cubes. They do not have to be perfect. Also crush up your graham crackers (or cookies) and set them aside. 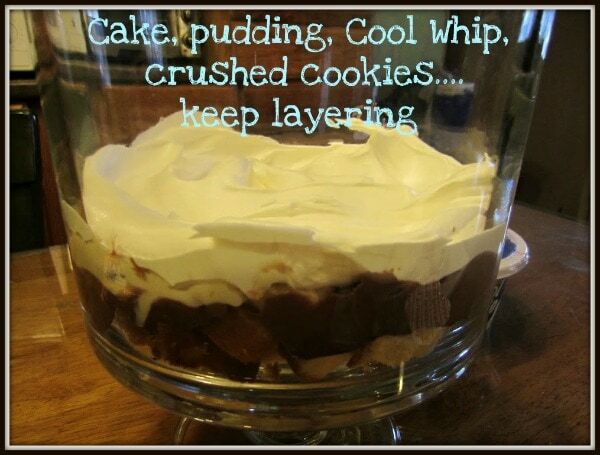 You can do this with any type of bowl, but obviously a trifle dish is the most attractive way to do it. I have one from Pampered Chef that comes with a stand and lid. I love it! 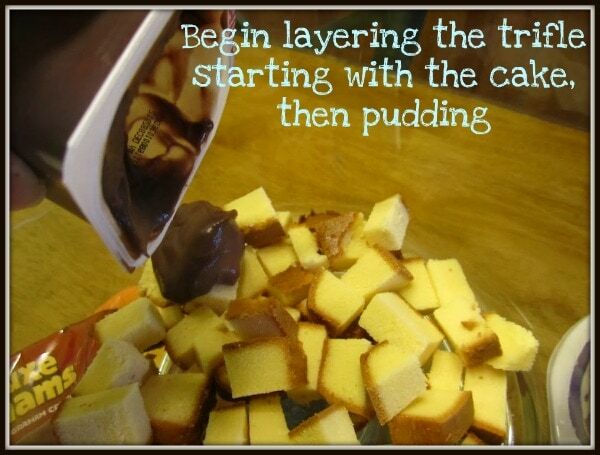 Begin by putting the cake as your first layer. Follow with the pudding. I am no artist in the kitchen. I am quite sure that my finished product could have been way more attractive, but it sure tasted great! Layers of scrumptious ingredients blend into magical scoops of deliciousness. Great for parties and holiday gatherings. 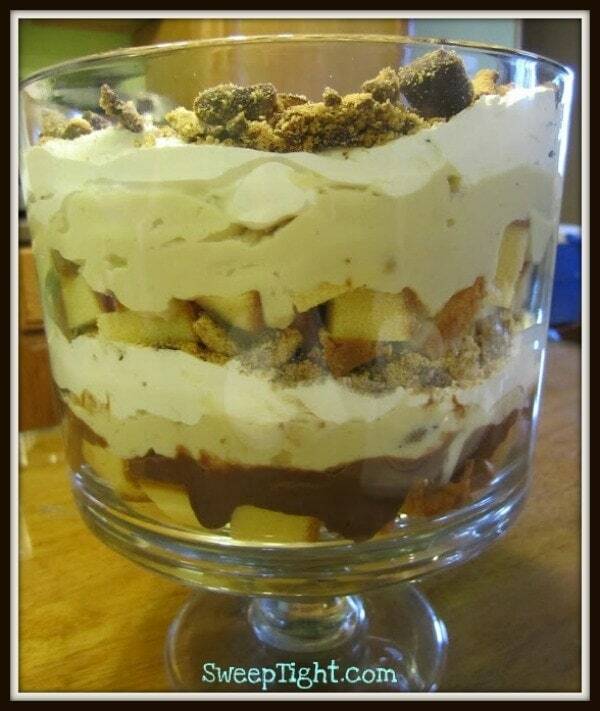 What would you put in your trifle? It looks so yummy! thanks for sharing! I can’t wait to make this. PS. Jewel brand… Midwesterner!… Dead giveaway.